Working on making Buffer an inclusive place where all kinds of people feel they belong and thrive is one of my favorite things. It’s a unique time to be working on diversity goals at a tech startup. On the one hand, there is quite a bit of work to do to make the strides we’d all like to make. On the other hand, there is so much hope and so many cool innovations, programs, and even tools that can help move us toward where we want to be. We’ve shared a lot of our thoughts, strategies and mistakes so far. As I begin to embark on making diversity a bigger part of my job (Potential future title: Belonging Booster. What do you think?) I wanted to check out what some other tech companies are working on when it comes to inclusivity. My research journey took me all the way from the NFL to the symphony orchestra as I discovered tech companies are pulling inspiration from many different areas. Here are seven cool inclusivity tactics that my investigation turned up. What does tech have in common with the National Football League? At least one element: The Rooney Rule. Introduced by the NFL in 2003, the Rooney Rule (named for Pittsburgh Steelers owner Dan Rooney, who headed the league’s diversity committee) is simple. It requires teams to interview at least one minority candidate for every head-coaching and general manager vacancy. This change quickly increased the NFL’s number of minority hires from six percent to 22 percent. Companies like Facebook and Pinterest have adopted their own version of the Rooney Rule, often translating it to the idea that at least one woman and one underrepresented minority be considered for every open position (sometimes, every open senior position). 17 percent of all Americans are Latino, 13 percent of all Americans are black, six percent of all Americans are Asian, and 62 percent of Americans are white. 50 percent of Americans identify as male, and the other 50 percent as female. We think one reason it’s been so hard to get numbers to change is that companies haven’t stated specific goals. So today, we’re doing something unprecedented — we’re going on record with our hiring goals for 2016. We’re also sharing details about the new programs and improvements we have planned. Transparently sharing specific inclusion goals feels like a great method to create accountability and honesty around how things are going. According to Fortune, LinkedIn is among the most gender-diverse of high-profile technology companies — at the end of 2014, almost half of LinkedIn’s employees were non-white. How did they get there? One clue might be in this interview with Erica Lockheimer, Linked’s director of engineering growth and women in tech. Erica explains that 20 percent of her time — and therefore a portion of her salary and bonus — is tied to LinkedIn’s overall diversity goals. 20 percent time is a cool strategy because it takes the mission outside the realm of just a select few at an organization and makes it something everyone can work toward, together. Here’s a cool strategy from Google: the search giant is embedding engineers at historically black colleges and universities, where they teach, mentor and advise. Google has software engineers in residence at Howard University in Washington, D.C., Hampton University in Hampton, Virginia, Fisk University in Nashville, and Spelman and Morehouse colleges in Atlanta. Googlers teach courses and also train students on skills like how to send a professional email and how to master a technical engineering job interview. The seemingly small detail of skin color in the launch graphics resonated with many users. How can we retrain our flawed brains? Some say a start is to be aware of our biases. Speaking of unconscious bias, here’s how orchestras in the United States uncovered and worked through one of their own biases. As late as 1970, the top five orchestras in the U.S. had fewer than five percent women. By 1997, that number was up to 30 percent! What changed? Orchestras began using blind auditions, where performers stayed behind a screen as they played, unseen by the judges. (Kinda like TV’s The Voice). According to a 2001 study, blind orchestra auditions increased the probability that a woman would advance from preliminary rounds by 50 percent. Could blind auditions work for tech, too? The startup Gap Jumpers makes software that creates a blind audition conducted via computer. Companies like Dolby Labs and Mozilla have already signed on to try this unique method. 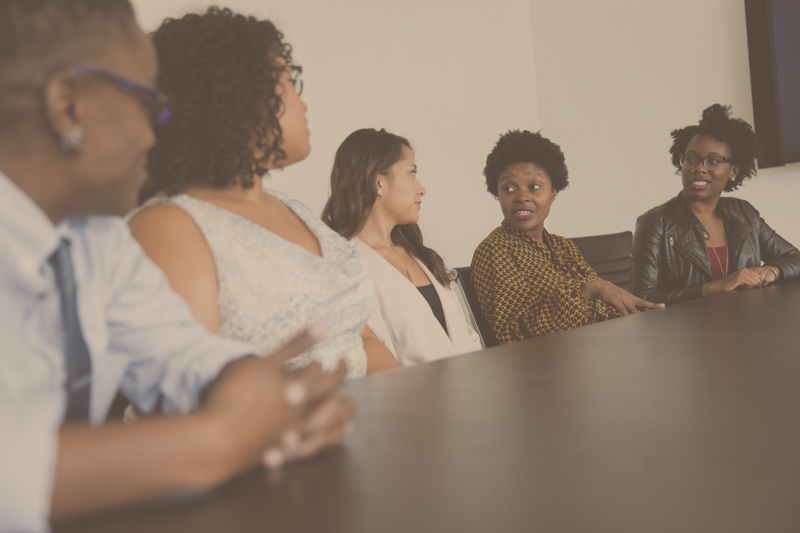 How are you working on bringing more diverse perspectives to your team, or to make your workplace more inclusive for all?